emember those days when you were a kid and used your imagination and came up with strange and unusual ways to make a few bucks? For example, in the mid-1960s, when we were kids, my brother and I went out one quiet Christmas Eve and sang carols outside homes until they paid us to leave. We eventually earned almost $7.00—enough to buy a gift for our parents. 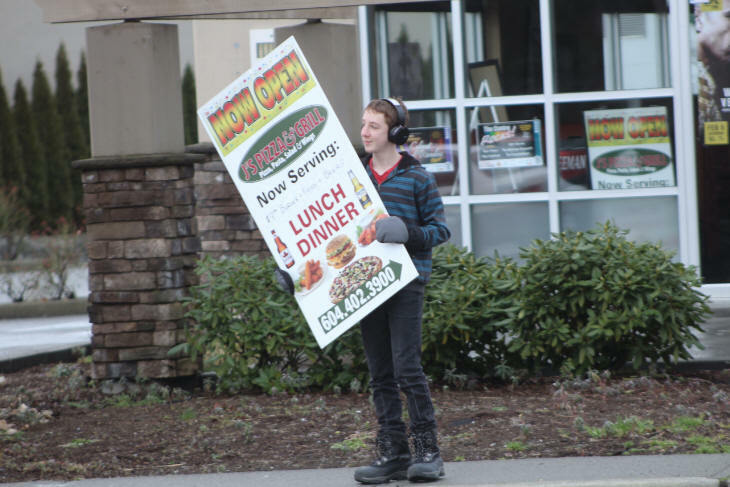 The Voice camera caught this ambitious youth last week with an advertising sign. J's Pizza & Grill at 8705 Young Road.